Credit counselling doesn’t have to be so confusing. Here’s a super easy 60 second explanation of how credit counselling works. If you’re facing financial distress because of debt you have a few options when it comes to finding relief. Credit counselling helps you zero in on the right option to use in your situation. That way you can rest easy knowing your debt solution is actually going to work. You start the process with a free debt evaluation to see where you stand. A trained credit counsellor looks at your debts, budget and credit score to help you decide which solution will work for you. If the debt management program ends up being your best option, then your credit counsellor can also help you enroll in the program. They can tell you how much you’ll pay on the program and how long it should take vs. what it would typically take on your own. So if you’re struggling to get ahead of your debt, we can help. Call Consolidated Credit today for a free debt evaluation with a trained credit counsellor. Together, we can find the best solution so that you can finally beat your problems with debt. In this section, we’ll provide a basic explanation of how the credit counselling process works. From your first consultation to the completion of a debt management program, we’ll show you the ins-and-outs. An experienced credit counsellor can help you by assessing your financial situation, helping create a suitable budget and a plan to repay the debt and regain debt freedom. Credit counselling services can help you get your finances under control by providing you with the tools and expert advice you need to pay off your debt. You can watch the video below on benefits of credit counselling. What’s central to credit counselling is financial education, budgeting and financial tools. We help you keep track of where your money is going. You can make really simple changes in terms of what your spending habits are when you’ve realized where the money is going. The advantages of going with credit counselling are the satisfaction knowing that you’ve paid all your debts off in full opposed to paying part of your debts or going through a bankruptcy or discharge. In some cases it’s just a matter of budgeting and really taking control of your finances. For that we also have educational material which is always available free of cost. Through credit counselling you get to pay off all of your debts and we also back it up with correspondence stating that you have finished off the program and paid all your debts off in full. A credit counselling session is an important first step in finding the right debt solution. With the right help, you can learn exactly where you are with your money and how to get to a better place financially. While it can be intimidating to face financial problems, and it may make you feel uncomfortable, talking to a credit counsellor can help you find peace of mind knowing you are making the right decisions with your money to avoid problems in the future. If you’re still not sure about credit counselling, in this section we’ll show you what happens during your first counselling session, step-by-step, so you have a better idea of what will happen once you start working with us. Here’s a run-down on how this process will affect your credit score. You might find that it is worth the reward, especially compared to other options like bankruptcy. With the right debt solution you can get out of debt quickly while minimizing credit damage as much as possible. Not all credit counselling services are the same. 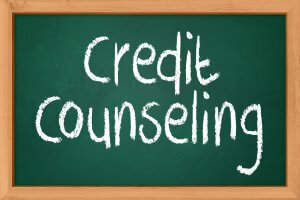 In this section learn how credit counselling services differ, including the difference between for-profit credit counselling and not-for-profit credit counselling. We’ll also provide helpful tips on how to review and vet different credit counselling agencies, so you can choose the right agency for your financial needs. You can also check out our credit counselling FAQs section for more answers and information. Consolidated Credit is a not-for-profit credit counselling agency dedicated to helping you find the right debt solution for your unique financial situation. Together, we can take a look at your budget and debts and decide the best solution for you. At Consolidated Credit, we’re proud to help people, just like you, and provide them with debt management tools to address their financial needs. You can go through our success stories and alumni testimonials to get an understanding of how our clients have been helped in the past, so that you can make an informed decision on navigating your own financial future. Call us at for a free debt evaluation with a trained credit counsellor or take the first step online by completing a request for a Free Debt Analysis.